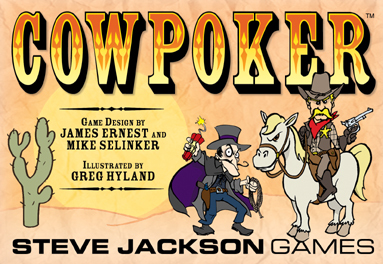 From James Ernest and Mike Selinker comes a fast-playing card game of cattle rustling and shootouts, Wild West-style: Cowpoker. 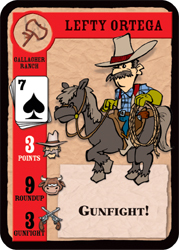 Two to four players become ranchers, rustling each others' cattle and hiring away each others' cowpokes. 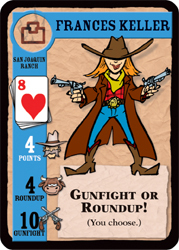 Recruit the wacky characters into your Ranch for points and bonuses, and collect them in tricks from the roundups and shootouts. Once all the cards are taken, make poker hands to score additional points! Every card can be used at least two different ways, so there's strategy as well as luck. 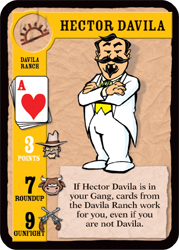 Each full-color card is illustrated by Greg Hyland, the artist of Burn in Hell and Munchkin Fu. 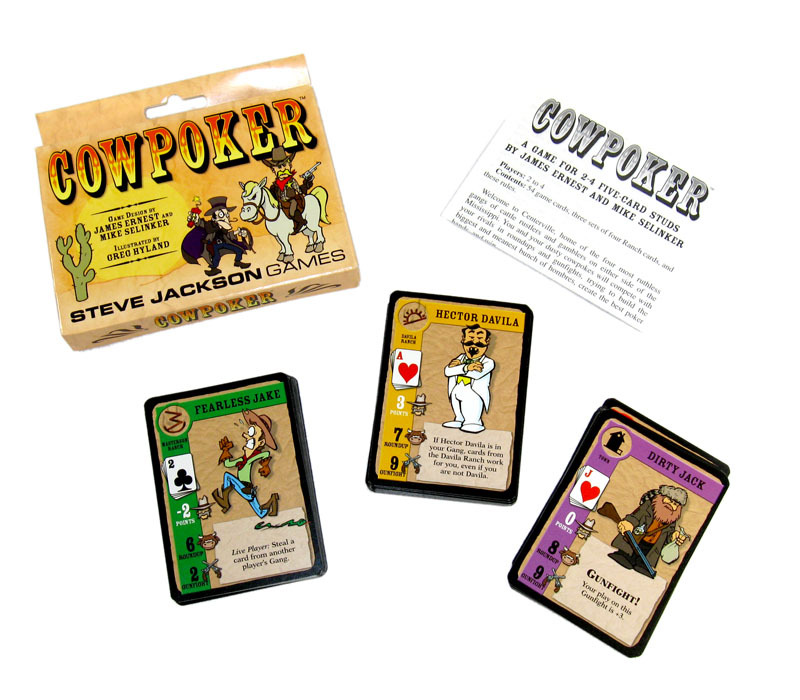 Cowpoker – the card game that's a rootin' tootin' good time until the cows come home. Yeeehaw!